The World Ocean, or the Ramaxicon`acarol (ram-acks-ee-kon | ak-a-roll), comprises the bulk of the hydrosphere. Since the end of the Dark Years in the 2080’s, it’s interconnected marine system covers 85% of Ramaxicon’s surface, with a total volume of 3.882 billion cubic kilometers. 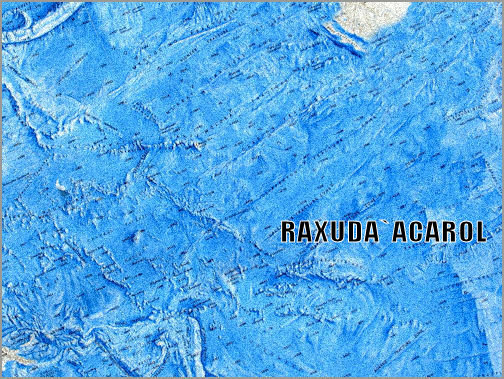 The Raxuda`acarol (racks-ooda | ak-a-roll) [ h – Pacific Ocean] is the largest of the oceans, connecting northward from the Ramaxi`acarol [h- Southern Ocean] to the Ramaxic`acarol (h – Arctic Ocean). It spans the gap between Australia and Jungwa, and the lands of North America, and the island of Brasilia. The Raxuda meets the Axita`acarol (h -Atlantic Ocean), south of Brasilia, at the tip of the Patagonia District, and in the north, between Brasilia and North America over the Mesomac`atol (messo-mak | a-toll ) [Submerged Mexico/Central America]. The Axita`acarol (acks-eetah | ak-a-roll) [h – Atlantic Ocean] is the second largest, and extends from the Ramaxi`acarol [Southern Ocean] between North America and Brasilia, and the African Trisect and the Eurapx`atol (urah-pix | a-toll ) [Submerged Europe – Shallows], to the Ramaxic`acarol [Arctic Ocean]. The Axita`acarol meets the Raxito`acarol [Indian Ocean] south of the African Trisect, at the mouth of the Congo Strait. The Raxito`acarol (racks-eetoh | ak-a-roll) [Indian Ocean] is the third largest and extends northward from the Ramaxi`acarol [Southern Ocean] to the Axit`atol (acks-eet | a-toll) [Arabian Sea – Bay of Bengal – Submerged India] near the Eurax`acarol (ur-acks | ak-a-roll) [Mediterranean Ocean]. It’s prime traversal lies between the African Trisect and Australia. 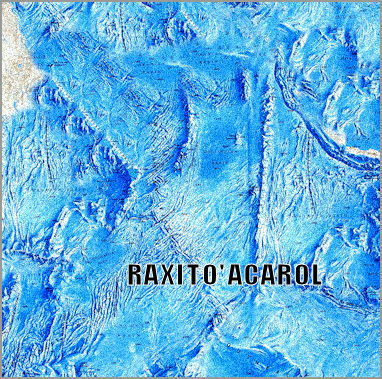 The Raxito`acarol joins the Raxuda`acarol [Pacific Ocean] to the east, near Australia. The Ramaxic`acarol (ram-acks-eek | ak-a-roll) [Arctic Ocean] is the smallest of the five. It joins the Axita`acarol [Atlantic Ocean] at the Grun’atol (groon | a-toll) [Wandel-Greenland Seas], and joins to the Raxuta`acarol [Pacific Ocean] at the Baltik’atol (ball-teek | a-toll) [Barents-Kara Seas]. It overlies the Ramaxatae [North Pole], touching North America in Western Hemisphere, and northern Eurapx`atol in the Eastern Hemisphere, by way of the Rismax`atol (riss-macks | a-toll) [East Siberian Sea]. 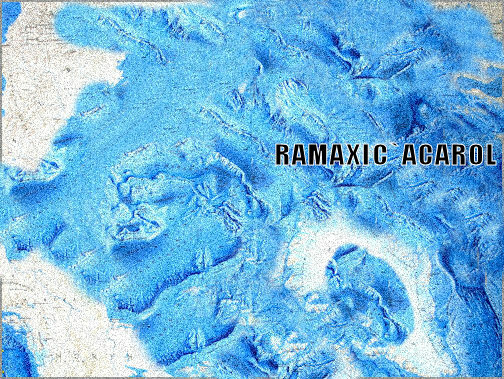 At the start of the 23rd century, the Ramaxic`acarol began forming stable surface sea ice year-round. 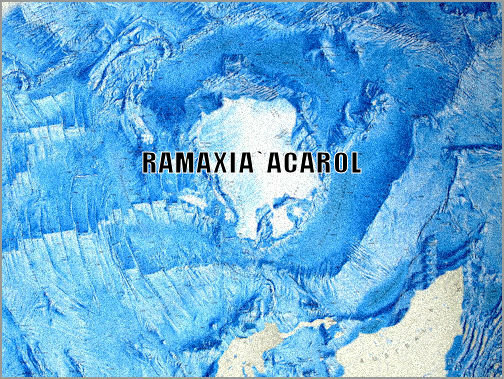 The Ramaxi`acarol (ram-acks-ee | ak-a-roll) [Southern Ocean] surrounds continental Ramaxia, and is dominated by the Ramaxi Circumpolar Current. The Ramaxi`acarol is covered in sea ice over the Van`takal (vahn-tack-all) [f – Vanda Bay] [Ross Sea] in the south, the Ort`takal (ort-tack-all) [f – Orta Bay] [Cooperation-Cosmonaut Seas] in the east, and the Dirtox`takal (durt-ocks-tack-all) [f – Dirtoxian Bay] [Lazarev Sea] in the north. The western Ramx`atol (ramks-a-toll) [Weddell Sea], is seasonally ice-free.